Coston Hall Dairy is part of Coston Hall Farm which is run by two brothers Mark and John Gill who are the third generation of their family farming at Coston. The dairy herd is looked after by John and the arable cropping is taken care of by Mark with the help of their farm staff team. John was brought up on Coston Hall Farm and has always loved the cows! From the age of four John would get out of bed, head downstairs and sit by the front door and not allow his father Philip to leave the house without him for the early morning milking. 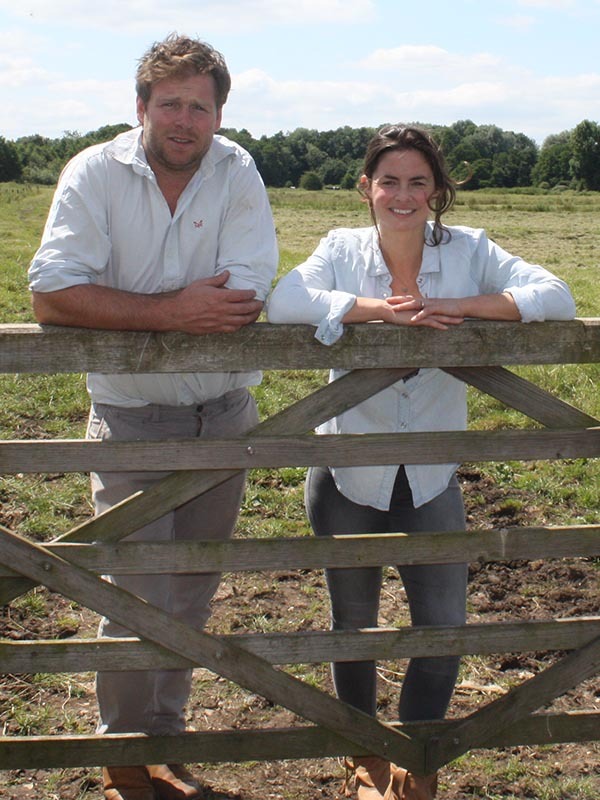 I’m John’s wife Lizzie and I was also brought up in Norfolk and have always loved the outdoors, animals and wildlife. In my spare time and at weekends, I enjoy helping out with the cows, keeping fit and doing my best to live a healthy lifestyle. The alarm clock goes off pretty early in our household and if we don’t look after ourselves it is easy to get run down. We try and fuel our bodies with naturally sourced, wholesome food, from ethically farmed sources which includes, and epitomises our Raw Milk. We love drinking Raw Milk and we are delighted to give you the opportunity of incorporating this delicious fresh product into your diet. We love the taste, knowing that it has been produced from well-cared for animals and that it is completely unprocessed. Coston Hall Dairy Raw Milk is great on cereal, in coffee, on its own and for making tasty cooking sauces. We want you to enjoy coming to the Farmyard at Coston Hall Dairy to collect your milk, enjoy drinking it as much as we do and take pride in knowing you are drinking the freshest milk available from a happy, healthy and loved herd of cows.